Prime Minister Narendra Modi's visit to the Silicon Valley covered a vast variety of subjects, including his personal favorites 'Make in India' and 'Digital India'. From meeting the tech leaders to addressing the Indian diaspora, all of it was done with his trademark, enthusiastic style. 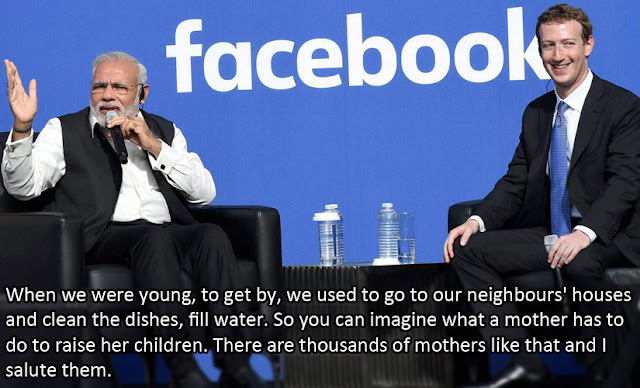 Be it his emotional moment at the Facebook Town Hall with Mark Zuckerberg, or his commanding speech at SAP Center, Modi was at his oratory best, much like in Madison Square Garden a year ago. He promoted the Indian markets, took potshots at the Congress, pitched for the technology, spoke about his mother, called out the UN on terrorism and invoked martyr Bhagat Singh — all in a day's work. 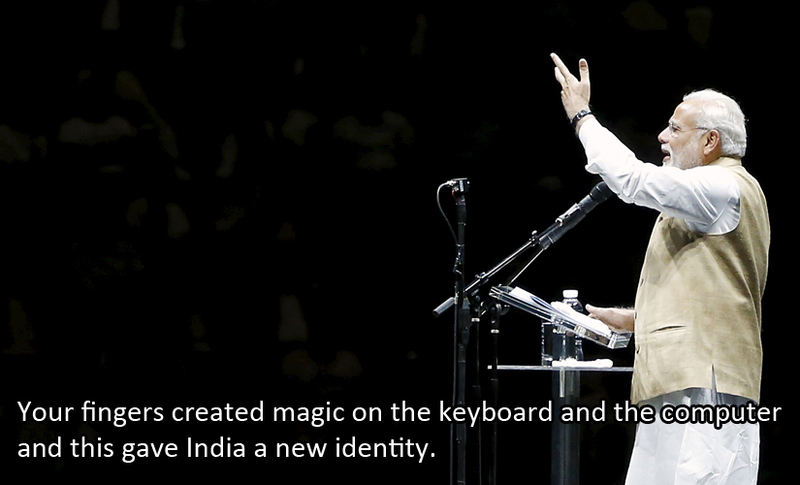 Here are the top 10 quotes from PM Modi's day out at Silicon Valley. Facebook CEO Mark Zuckerberg managed to move Modi to tears when talking about his mother. The Prime Minister recalled his early days, alluding to his 'tea seller' past, and how his mother's hard work helped him. 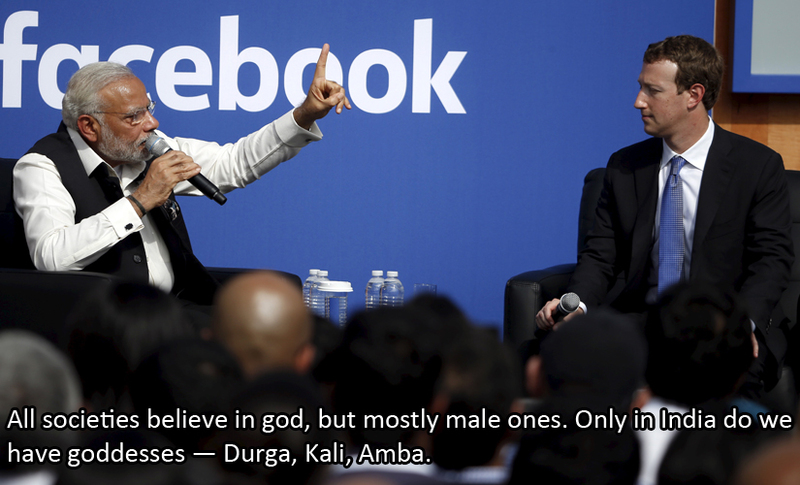 Modi spoke about women empowerment in India and referred to the various goddesses in the Hindu Pantheon as the symbol of Indian women. Of course, India is not the only culture to believe in goddesses. 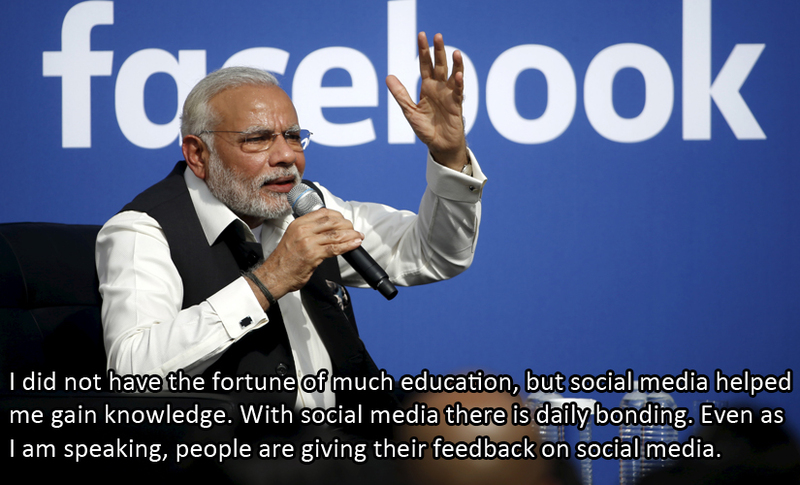 Modi's active profile on social media is well known and he actually credited it for his knowledge about things. He also spoke about social media as a political tool that can give people instant feedback from all over the world. A good topic to discuss with the world's largest social network! 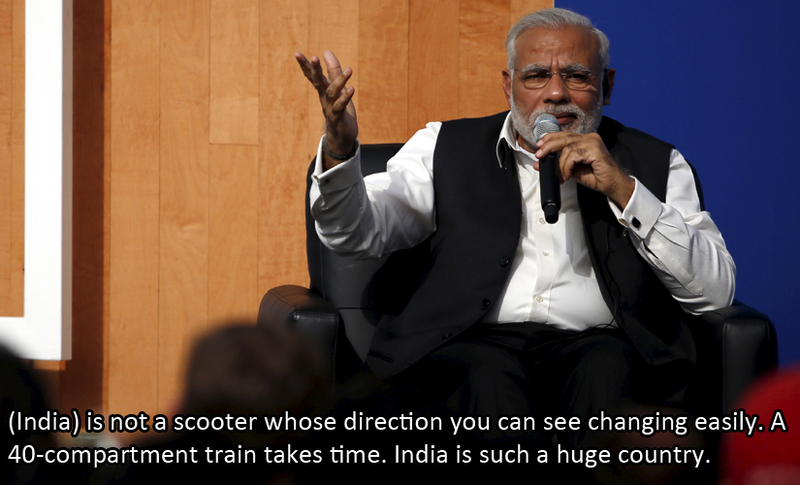 India is a 40-compartment train and Modi is the engine driver is what we understood from this analogy. 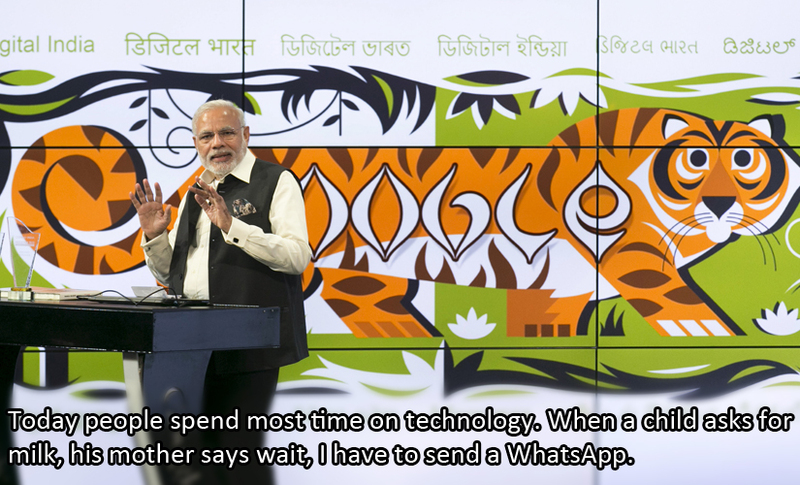 Apart from his fervent encouragement of digitisation, Modi has a lighter take on the penetration of technology as well. 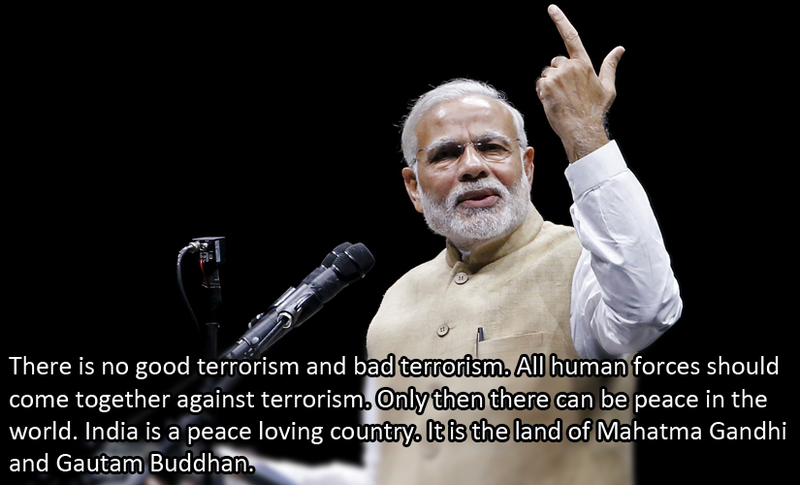 Modi's views on terrorism were clear and hard-hitting. All terrorism is bad and against humanity and must be fought. He spoke about India fighting it for decades and urged to United Nations to focus on tackling terrorism and not defining it, in a not-so-subtle dig at Pakistan. A poetic thought about how India has progresses from a nation of Upanishads (scriptures) to upgraha (satellites), Modi equated his own rise to that of the country's Mars Mission, Mangalyaan. Both succeeded on their first try. On cannot address the Indians at Silicon valley and not acknowledge their immense contributions in the IT sector. 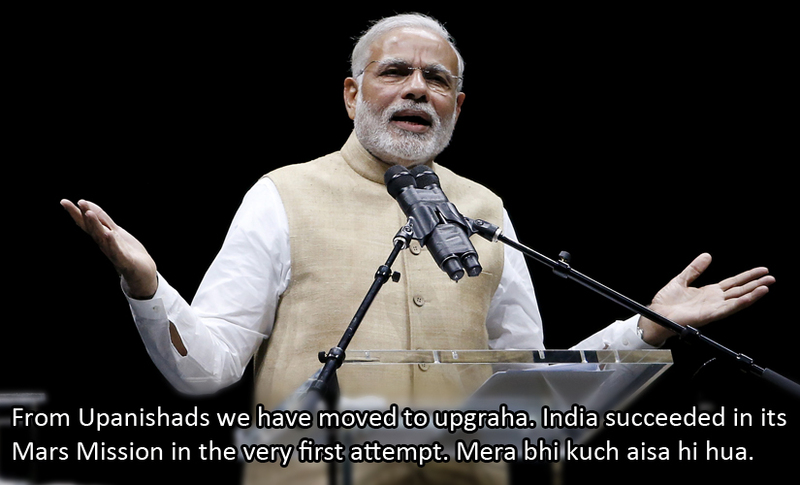 And Modi did just that to a large cheer from the gathered crowd. 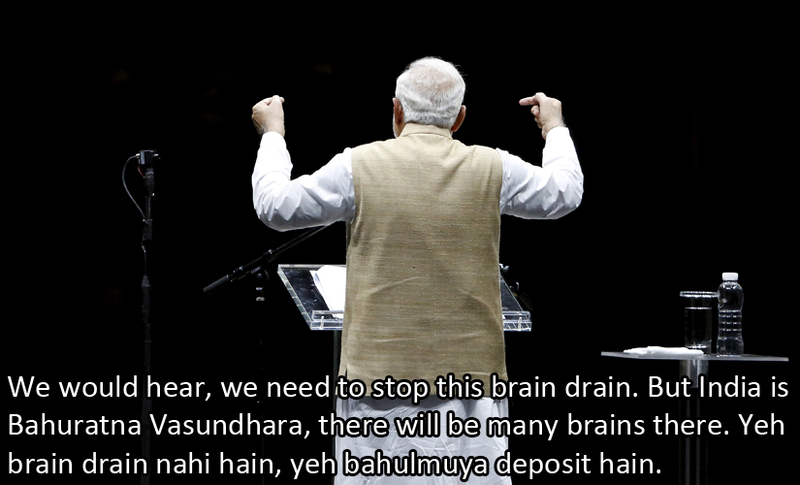 'Brain drain' is another sensitive subject among the Indians 0f Silicon Valley and Modi treated it with great diplomacy as he said how Indian brains may leave to work abroad but the country will keep producing more brains. Besides, it's not really a drain if it still exists in US, it's only a deposit! 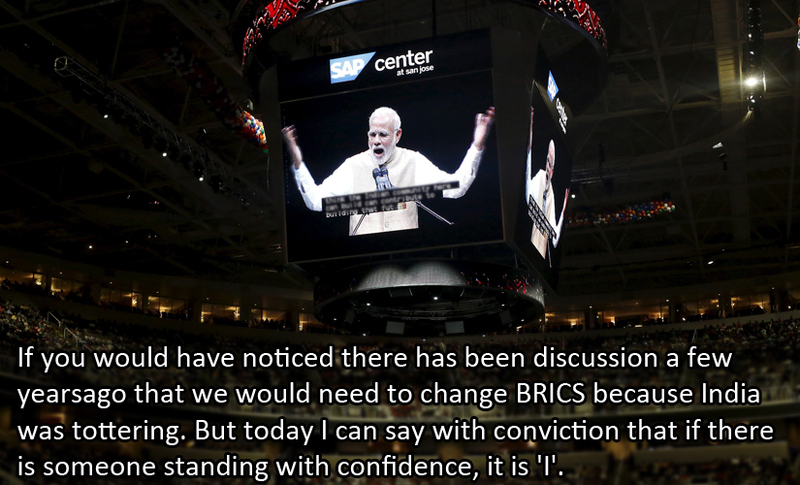 A great pun to end the collection of quotes, Modi said how it is the 'I' of India that stands out in the BRICS nations today.